Orphans and vulnerable children and youth at Puma Tailoring center have performed a good work of tailoring by sewing nice dresses for their first time in the tailoring training. The OVCT members visited at the tailoring center when they were in the OVCT general annual meeting. The OVCT members congratulated the trained orphans and vulnerable children and youth for their good work that they have done for their first time. 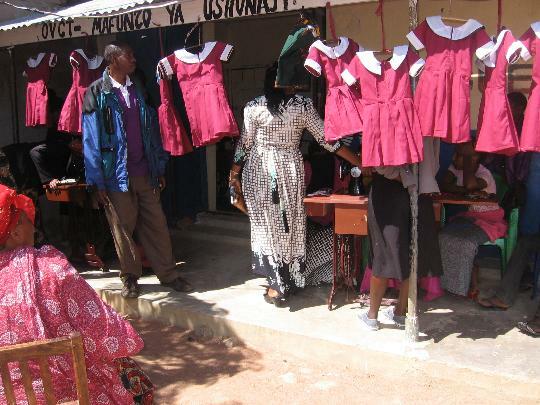 The dresses which you see on the photo above, are the first products of the orphans and vulnerable children and youth at Puma tailoring training center. OVCT visited the trainees on 3rd May 2018 to see how is the training going on.